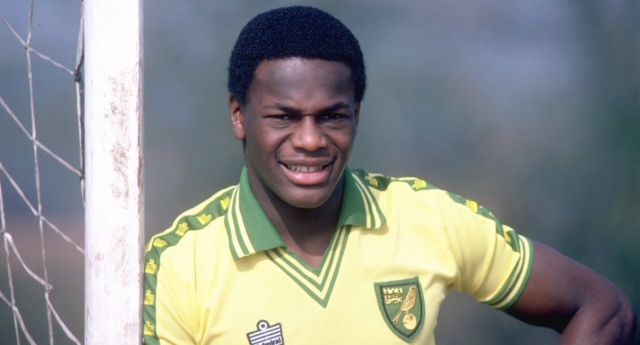 The brother of Justin Fashanu, the first openly gay footballer in Britain, has opened up about how the man he saw as his “shining light” became his “arch enemy”. In an interview with the Guardian, John Fashanu talked about the complicated relationship with Justin, the world’s first £1m black footballer, who killed himself in 1998, aged 37. A documentary about Justin’s tragic story, called Forbidden Games, comes out tomorrow, marking 19 years to the day since he died. The two brothers were close as they grew up living with a foster family in Norfolk, and they both became footballers, even playing together for Norwich City. But despite this, the former England international had no regrets about his brother’s death. “You can’t go back and say: ‘Oh my God, how would it have been different?’ Because the whole world would have been different,” he said. John also revealed that he had given Justin £100,000 – not £75,000, as previously reported – to stop him coming out as gay in 1990. And he had no regrets about that decision, either. “I think that he would have possibly [died by] suicide even earlier…and I now thank God I didn’t give him all the money I’d promised to give him,” he said. Resentment boiled up in John seven years before Justin came out, when he left Norwich City to strike a path on his own, angry that Justin hadn’t used his influence to help him at the club or elsewhere. It was then that Justin, who John had seen as “my mother and father”, “my shining light” and “my life,” became “my arch enemy”. Then, at the 1990 Professional Footballers’ Association dinner, another footballer squared up to him in the toilets. “I’d heard little things, but when he said that, the first thing I was gonna do, I was gonna beat the hell out of him. He explained that as “a red-blooded African man”, he couldn’t believe it was true – until Justin confirmed it. But because both their foster and birth mothers were ill, John assumed his brother just wanted money and attention. John also admitted that he was “worried that people would think it was me,” especially as his club, Wimbledon, had become known as the Crazy Gang: a bunch of violent, unpredictable strongmen who prized their manliness. That was on April 1. Just 31 days later, his brother was dead. The last time they spoke, John said he was “too annoyed to understand what he was really saying,” adding that he had been at the end of his tether with Justin. “There comes a time when it’s enough help,” he says. “Enough is enough. Three days later, the police arrived as John was baptising his son Amir, the media on their heels, to tell him that Justin had killed himself, and ask if he could identify the body. And even though he still has plenty of harsh words for his brother, John said that his legacy was undeniable.